Iain Abernethy kommer tilbake og besøker oss ; seminar i Vågsbygd sin dojo 16.-17 september! Forrige gang ble seminaret fulltegnet. De som vil være helt sikre på å ha plass denne gangen bør booke inn før 15.juni; etter det åpner vi seminaret for andre enn SKAN-klubber om det fortsatt er noen ledige plasser. “This seminar will focus on the vital core concepts of kata bunkai and practical application. These are the “keys” needed to understand what the kata is telling us and how to effectively apply that information. 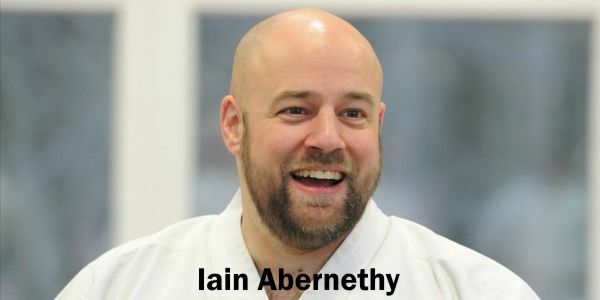 Iain will explain each of the concepts in turn and show how they are enacted in a variety of kata (Pinans, Bassai and Kushanku). 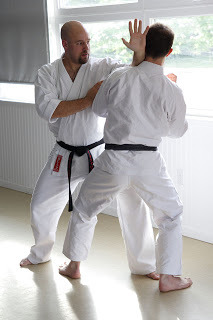 We will also look at some of the “forgotten” karate techniques we find in the writings of past masters and see how these core principles apply to those too. Pris 800,- pr deltager. Påmelding er gyldig når påmeldingsgebyr er betalt inn. Previous Post Graderingsplanen for Watanabeleiren er nå klar!